The Reach Leadership Program was created to provide an opportunity for students and today’s youth to get involved in philanthropy while learning invaluable life skills. By establishing a Reach Leadership Club at your school you will be providing your peers the opportunity to support your community through service, volunteerism and fundraising. 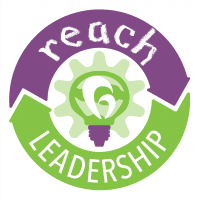 Reach Leaders will begin the process of learning what it takes to successfully create, run and manage various fundraising events while learning invaluable entrepreneurial and team building. The ultimate goal: raise funds and awareness for children and families facing the financial burden of a cancer diagnosis in your own community. Family Reach is a national nonprofit dedicated to alleviating the financial burden of cancer. Working with more than 200 hospitals and cancer centers nationwide, we provide immediate financial assistance, education and navigation to families before they hit critical breaking points. We believe everyone deserves a fair shot at getting to the other side of cancer. For more information, visit www.familyreach.org/our-mission. Make a tangible difference in the lives of children and families battling cancer. Create awareness of the financial burden of cancer and how it affects the patient, caregivers and families in your community. Be a leader in your school and help peers grow as compassionate agents of social justice – both as high school students and throughout their lives. Be a leader in your community and school as a role model setting an example of empathy and compassion. Develop life & business skills – entrepreneurship, financial responsibility, event planning, recruitment, volunteer management, marketing and promotions, communications and time management. Determine the internal process for setting up an official club within your school. Submit a Reach Leadership Form for approval. Upon Family Reach approval, establish an Official Club with an academic advisor. Set Up Fundraising Page as a baseline of communication and donations. Get Started – create a fundraising and awareness plan within your school and with your peers. Students are encouraged to join and contribute to these activities throughout their years leaving a legacy club for future student. Many of the fondest and lasting memories and friendships of the high school years will be forged by participating in Reach Leadership. Students are encouraged to join and contribute to these activities throughout their school years leaving a legacy club for future student. Many of the fondest and lasting memories and friendships of the high school years will be forged by participating in Reach Leadership. Reach Leadership clubs will receive family stories & photographs through our blog to help communicate our mission and provide inspiration for your awareness and fundraising campaigns. Family Reach maintained peer-to-peer fundraising platform, Classy.org, to support fundraising efforts. Access to Family Reach Operations staff to help troubleshoot any administrative problems while using fundraising pages. Communication Toolkit: consisting of social media tips, logos, graphic images and design support templates. Engaged groups will have the opportunity to volunteer at local Family Reach community events. Inclusion in the Reach Leadership Recognition Program. Family Reach appreciates the importance of giving-back at an early stage in young people’s lives and has created a Recognition Program to recognize the efforts of its clubs and its members. Letter of recommendation signed by foundation’s Chief Executive Officer for those identified by club’s school advisor. Each year, the club’s student advisor may only submit a maximum of 5 students, with a maximum of 5 letters per student.